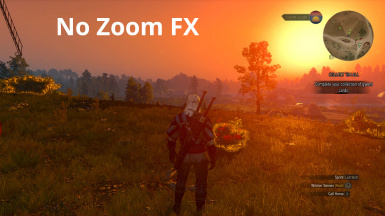 Removes all camera movements and effects when activating witcher sense. B. Extract the contents of the zip file (the folder "modNoWitcherSense") into GAMEDIR\Mods. If you don't have a "Mods" folder, create it first. Changes camera movements and effects and does remove the last edge blur effect that still remains, even if you enable MotionSicknessFocusMode in the gameplay.ini. This version will essentially ignore that option and disable all advanced effects. Also removes the "swoosh" activation sound. Regarding new video options in 1.21: Turning off fish-eye has no effect with this mod, you can enable the color blind mode though (changes the yellow to a greenish tint). Turns witcher sense activation into a toggle. Installed as standalone. Turns witcher sense activation into a toggle (silent version). Installed as standalone. 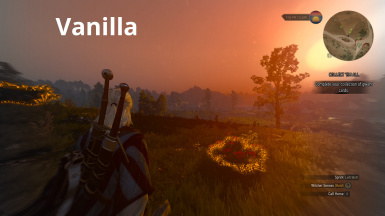 Doubles the range of the witcher sense. Installed as standalone. Beware of conflicting mods, as it changes "game\gui\hud\modules\hudModuleInteractions.ws" and sets FOCUS_INTERACION_RADIUS. Combines the main mod with the silent toggle and double range. There is also a version that leaves the FX and sound intact, but still removes the camera zoom.